Peter Langley is the founder and managing director of Origin. Peter has a degree in physics and is a Solicitor of the Supreme Court of England & Wales, a Patent Attorney and a Trade Mark Attorney. He has been voted one of the top 40 technology lawyers in the UK. 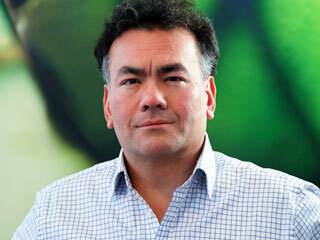 Peter is identified in IAM Strategy 300 as one of the World’s Leading IP Strategists 2013. Peter has advised many leading technology companies, including TomTom, TeleAtlas, ARM, Sharp, Symbian and Unilever, as well as VCs and start-ups. He focuses on IP litigation, IP strategy and branding; he also has extensive experience in protecting software. He has handled patents in the following areas: GPS sat nav, digital mapping, semiconductors, encryption, compact disc, mobile telephony, 3G, LTE, WI-Max, femtocell, real-time holography, mobile device operating systems, mobile device UX, video compression, anti-tamper software, website optimisation, cloud-based music systems, LCDs, voice recognition, FX trading, systematic trading algorithms and wave energy systems. He and his team have managed major patent litigation in the US (including S337 ITC proceedings), Germany, Japan, Netherlands, and the UK; ICC arbitration in the UK and Switzerland; resolved global IP disputes through mediation; acquired over $40M in patents for various clients in recent years; and negotiated IP cross-licenses with many of the major rights holders in the wireless, electronics and software sectors. He is Visiting Professorial Fellow in Law at the Centre for Digital Music, Queen Mary College, London University.